Each table seats 10 guests. 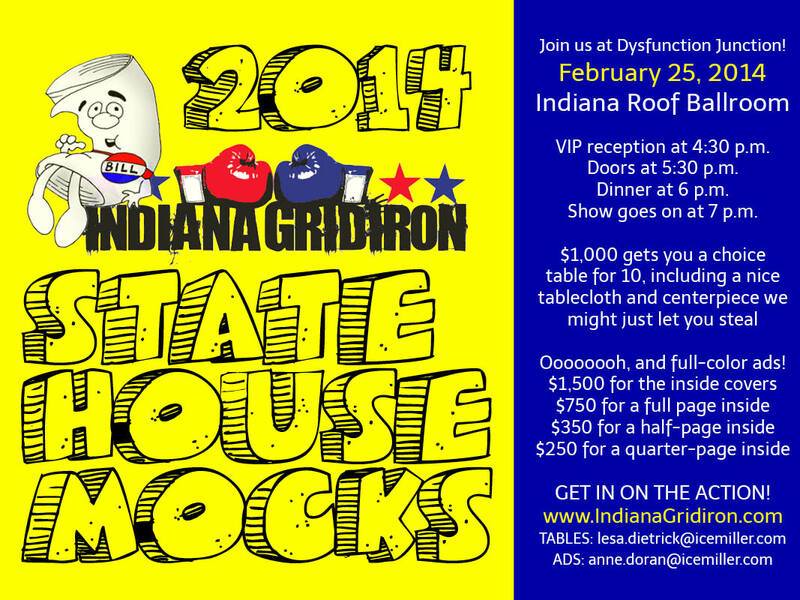 The Gridiron is an annual fundraising event for the Indiana Fiscal Policy Institute. Okay, that's true, but it's so much more. Modeled after the storied dinner of the same name in Washington, D.C., the Indiana Gridiron is an evening of roasts, toasts and boasts featuring the who's who of Hoosier politics and media. If last year's crowd is any indication of this year's interest, you'd be wise to reserve your table or tickets quickly.